Mother’s groups are popular in Australian society because they are a great place to develop strong friendships and share your experiences in life and in family with other mums in your area. But how can a bunch of other mothers help you, and where to look for this community? Mother’s group is typically a supportive community that is truly helpful for mothers since they can ask questions about their child’s development from other parents. This is a good source for finding first-hand information and support. 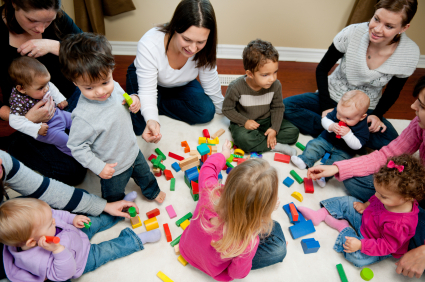 Groups are usually open to all mothers, whether they are still expectant or have children in high school, but are commonly attended by those with newborns through to preschool age. This parenting source can give you that feeling that you’re not alone and is a great way to relieve many anxieties. Can help you regain stamina, sanity and strength. In this community, you will find support, advice, friendship and overall just have a good time. Where to look for a Mother’s group? Midwifery & birthing departments at your clinic/hospital. Your midwife may be able to suggest a support network that will suit the needs of you and your baby. Parenting magazines and local events calendars. Churches and other religious or community organisations. Referrals / Word-of-mouth from your friends and collegues. What to expect in a Mother’s group? It can be a bit like a classroom wherein you are the student and the teacher at the same time. There may be the opportunity to learn from a trained professional, or it may just be round-circle discussions between the mothers. Every child is at a different developmental stage and each family has their own story to tell. You will most likely be offered unsolicited parenting advice, but there’s almost always an opportunity to enjoy engaging conversations. Depending on the ages of the children in the group, there may be craft and educational activities to engage them as well. These networks will meet at a variety of locations, with differing frequency and duration. It may be very informal weekly date at the park with BYO coffee, or a 2-hour session at a dedicated facility that costs few dollars to attend but provides the tea/coffee/food and activities.